I have a new to me brand to share with you. I received sample from Cuccio Colour at Cosmprof. This is a brand I had heard of before, but never came across ever. I now know why. This is a salon only brand! No wonder I never saw it. I was glad to be introduced to it. I did realize while you can't buy this as professional from their own site, you can sometimes find these on etailers, Amazon, or eBay. It's not a total lost cause. I have one of the polishes from their fall collection to share with you. 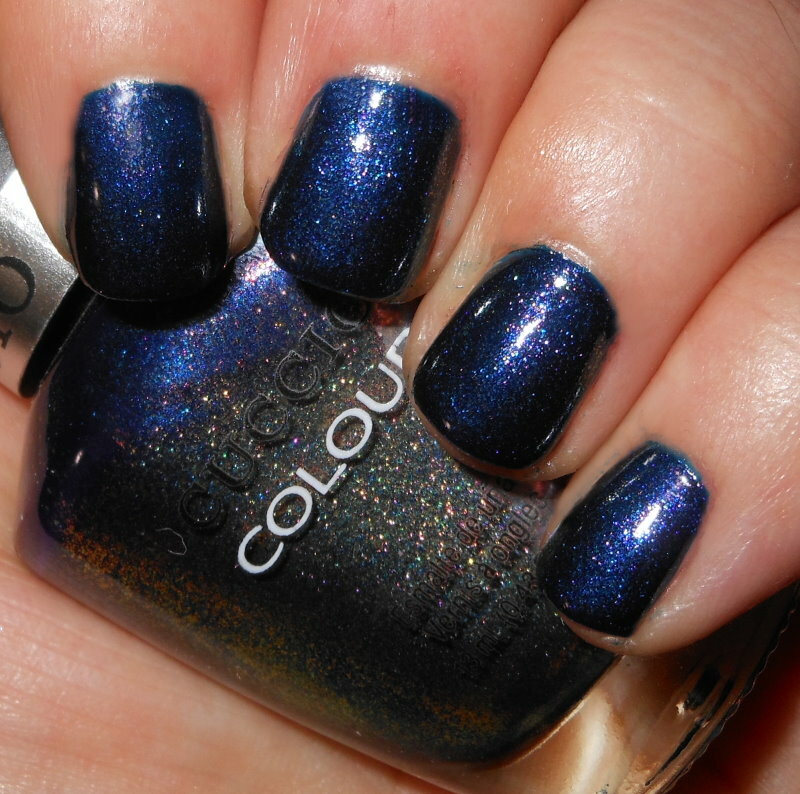 Dancing Queen is a deep navy blue with blue and golden/green shimmer. 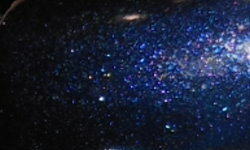 Color: You see that beautiful multi-dimensional shimmer in that bottle in my picture? Yeah, that barley translates on the nail. How frustrating is that! This color is a lovely rich blue shimmer. There is nothing wrong with that aspect, but I want to see what's in the bottle on my nail. I'm not getting that intense shimmer I see on my nail at all. Formula: The formula on this was good. It was pretty standard. I used 3 coats above. Price: You can find this in the $8-$9 range if you search it on Google. Overall: I wanted to love this polish, but it really disappointed me. The base color is great. The formula is good. I just really wanted all that amazing shimmer I see in the bottle. I can't get past that!